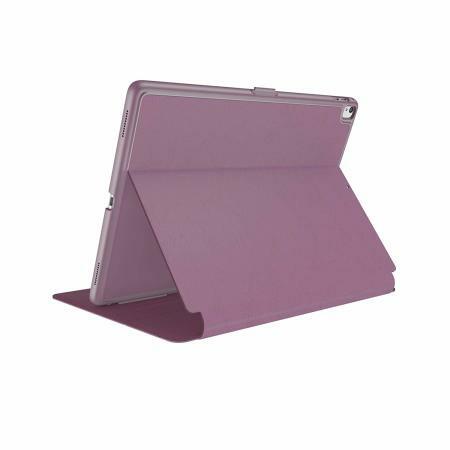 Provide sophisticated and elegant protection for your Apple iPad Pro 11 with the StyleFolio case in a stylish "Plumberry Purple/Crushed Purple/Crepe Pink" design from Speck. Complete with a multi-angle viewing stand and secure closure system. The case is perfect for iPad Pro , only two faults that don’t suit me personally one is the clip you open it with would prefer magnet, second is I take a lot of pictures and find it annoying case bends when you open it would prefer solid sides. Apart from these two faults colou4 is perfect for me.